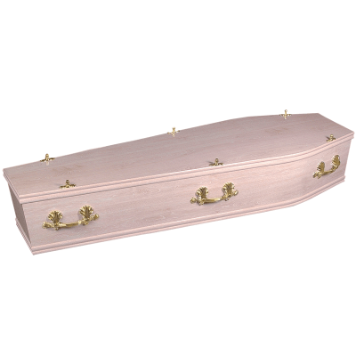 Our Basic Coffin's start at £200.00. Other Choices As Below. 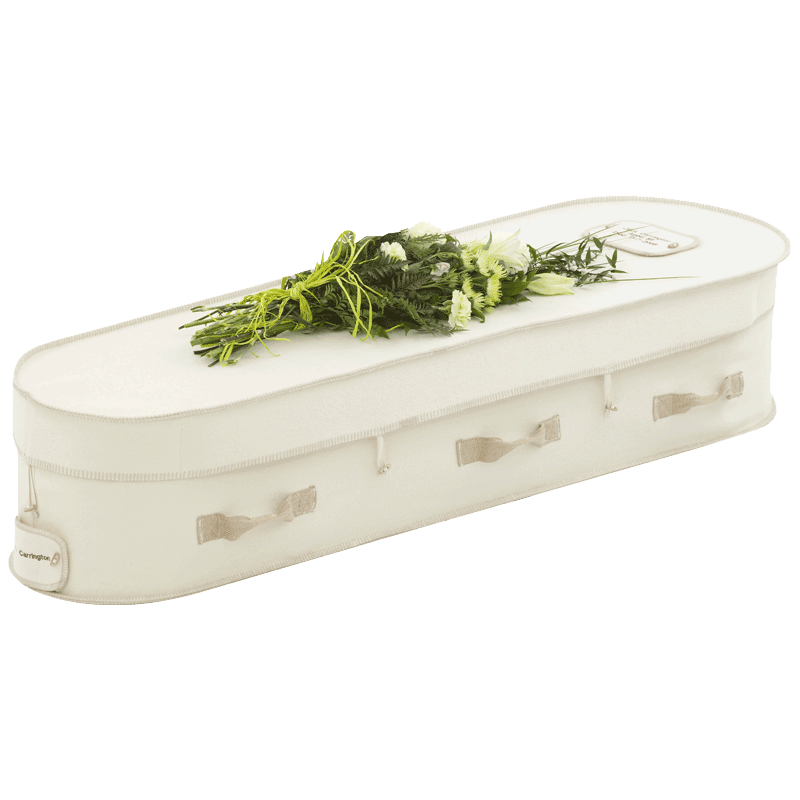 This beautiful pale looking coffin has a limed oak effect with matching moulds. Priced at: £200.00. 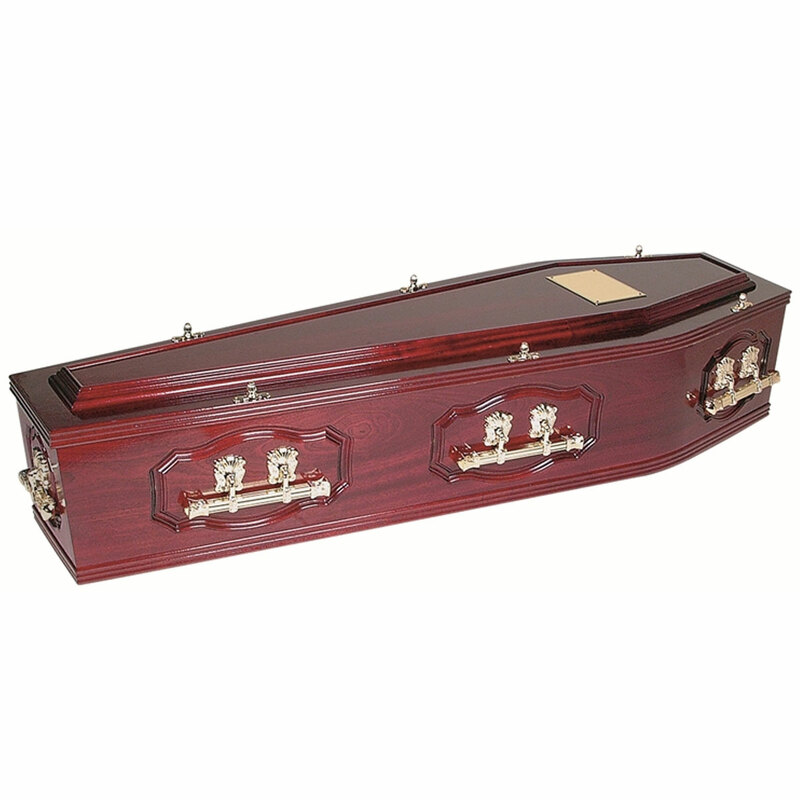 This coffin has a beautiful dark cherry mahogany effect with matching moulds. Priced at: £318.00. 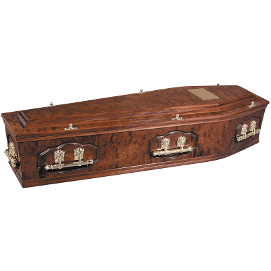 BELOW: The Cambridge: Elm Effect coffin with matching moulds. Priced at £320.00. 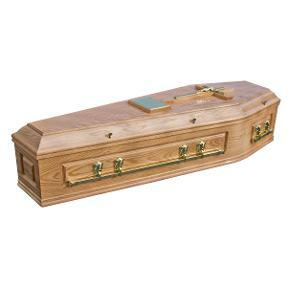 BELOW: The Morpeth coffin: Light Oak Wood Effect coffin with matching moulds. Priced at £324.00. 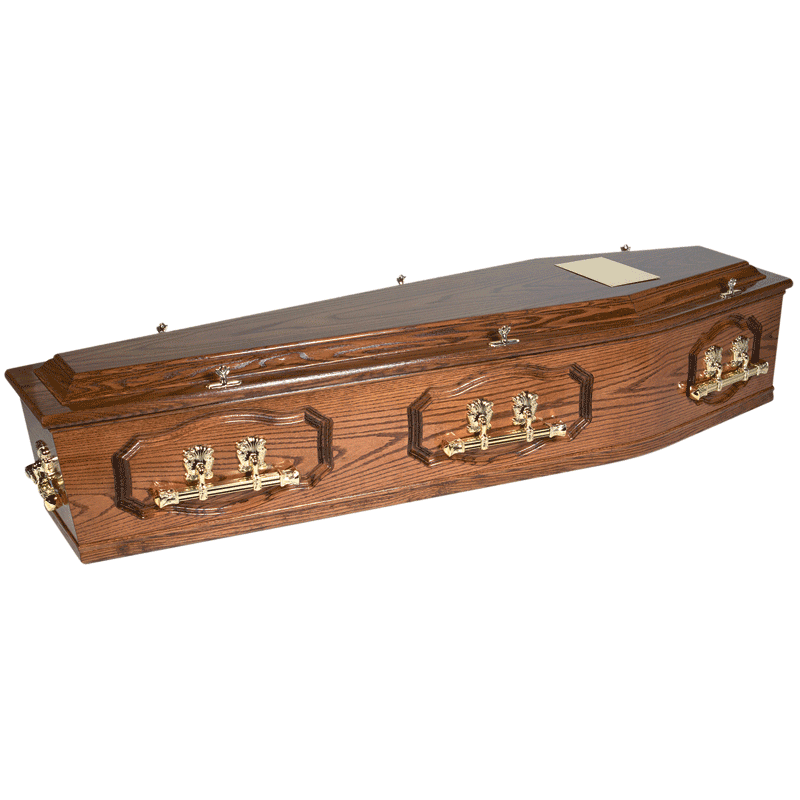 BELOW: The Arran: A dark Oak effect coffin with matching moulds. Priced at £324.00. BELOW: The Ipswich: Elm raised lid coffin. Priced at £356.00. 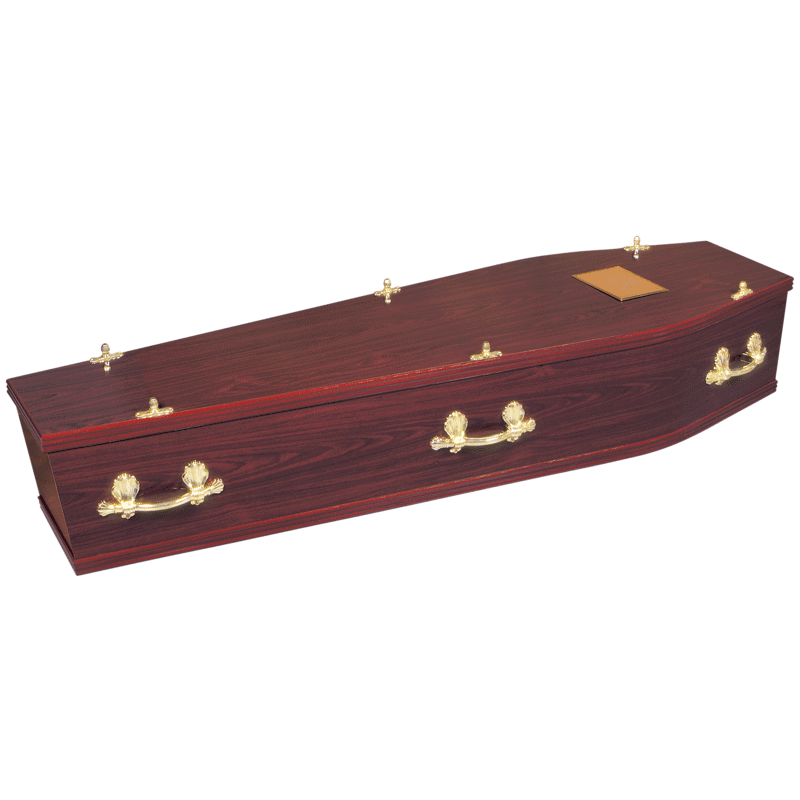 BELOW: The Harewood: Mahogany raised lid coffin. Priced at £356.00. 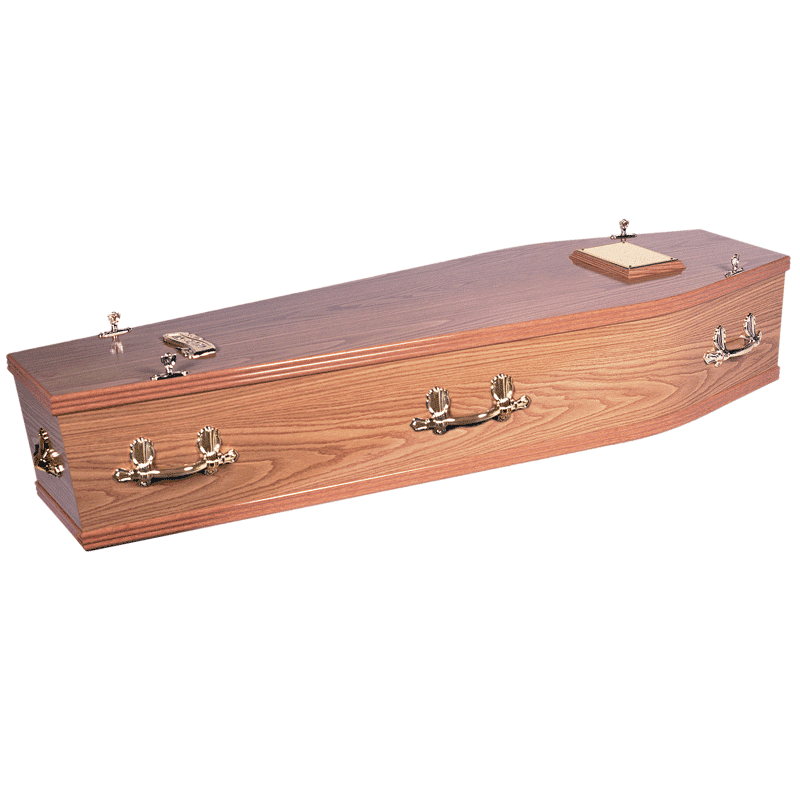 BELOW: The Grampian: An exquisitely crafted, semi solid Redwood timber called Sapele. 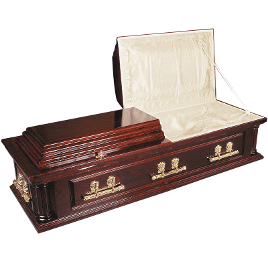 The Grampian has shaped feature panels to the sides and ends, a high raised lid and a rich gloss finish. Priced at £528.00. 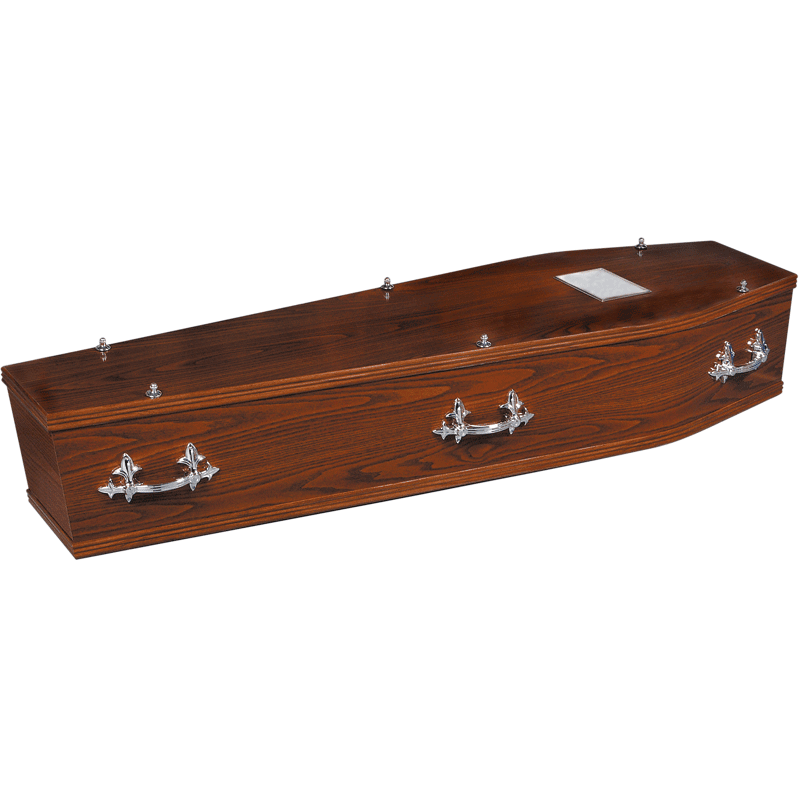 BELOW: The Lindisfarne: A traditionally crafted, semi Oak coffin, with shaped feature panels to the sides and ends, high raised lid, and a gloss finish. Priced at £550.00. 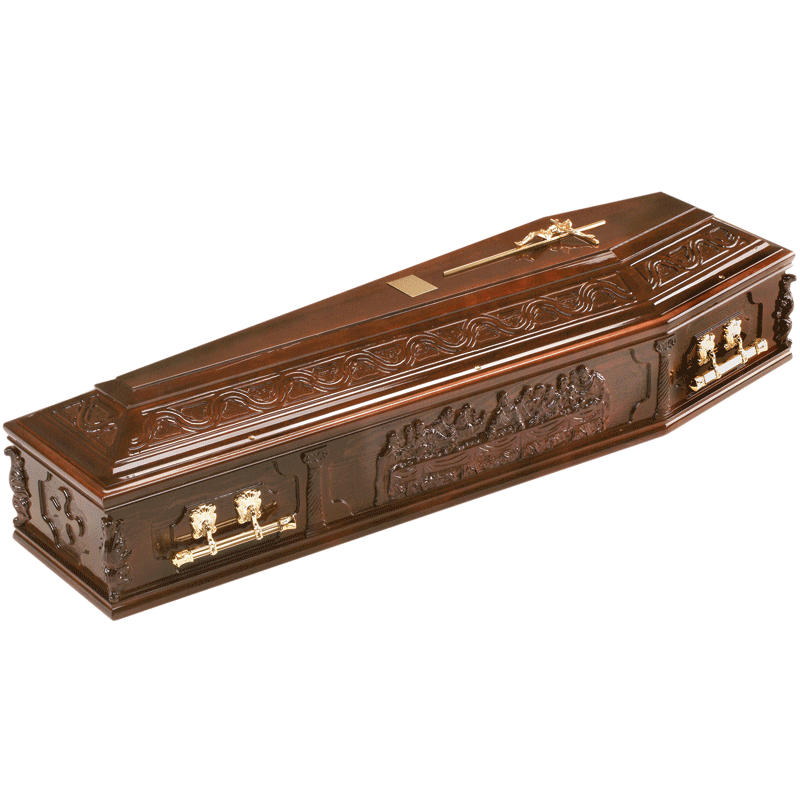 BELOW: The Lindisfarne: A semi solid Oak coffin with Jacobean panels to the side, ends and raised lid, polished in Mid Oak. Priced at £550.00. 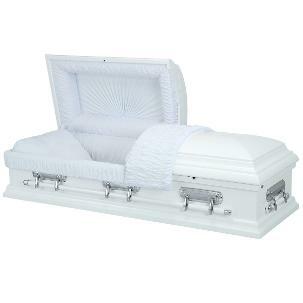 BELOW: The Essence: A solid Alder wood casket in elegant white with a high gloss finish, the Essence comes with matching bar handles and a delicate white crepe interior. 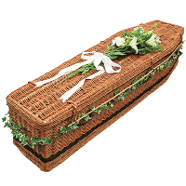 Priced at £1,324.92. 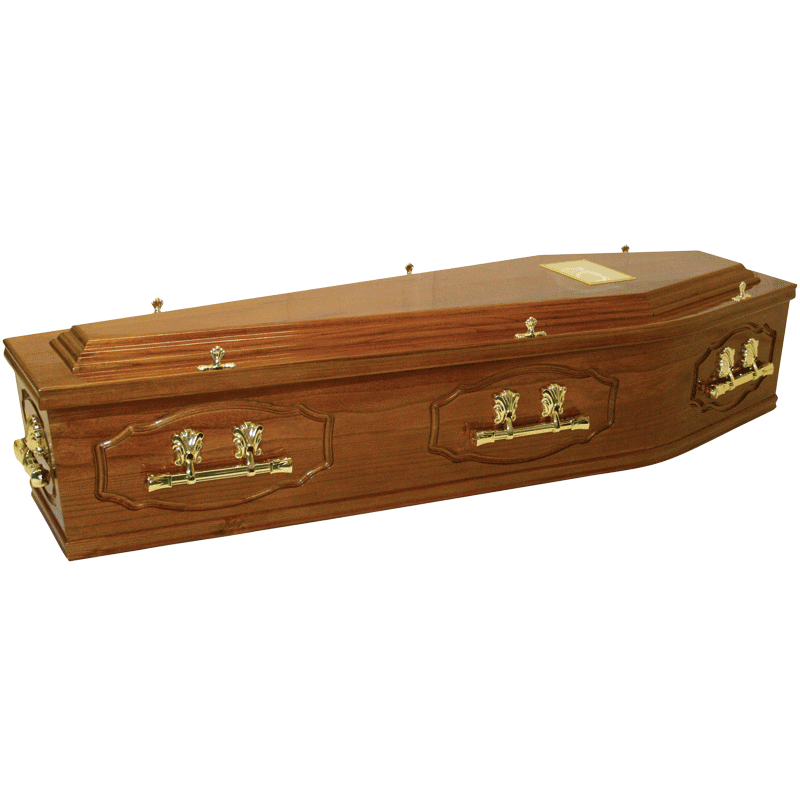 BELOW: The Weymouth: A Golden Maple veneer style coffin with fine Melrose panels polished to a high gloss finish. 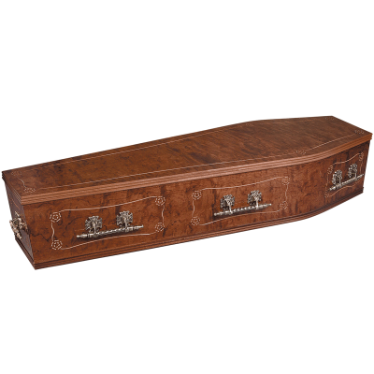 The SANDRINGHAM Last Supper Coffin: A beautiful and elaborate solid wood ‘Last Supper’ feature coffin with paneled sides, ends and a raised lid, polished in medium mahogany with dark antique shading. Unless requested, solid pine is used for the base. 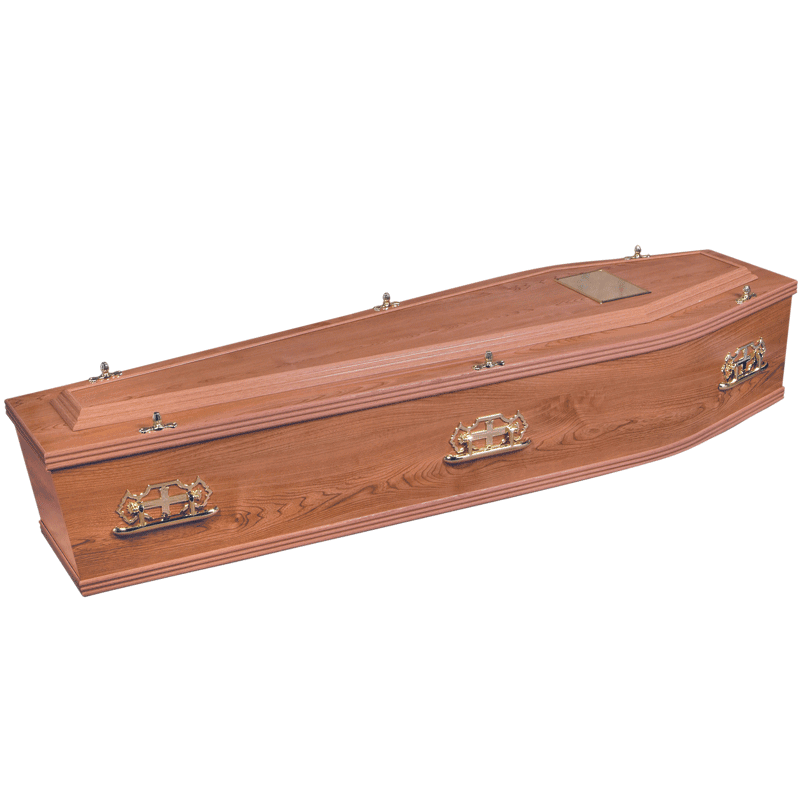 BELOW: Last Supper: ITALIAN SOLID OAK coffin with decorative carvings to the sides and lid depicting Leonardo da Vinci's Last Supper. Priced at £1'265.00. 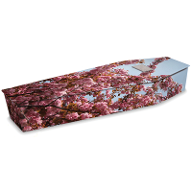 Cherry Blossom, Wooden Picture Coffin: Priced At £800.00. 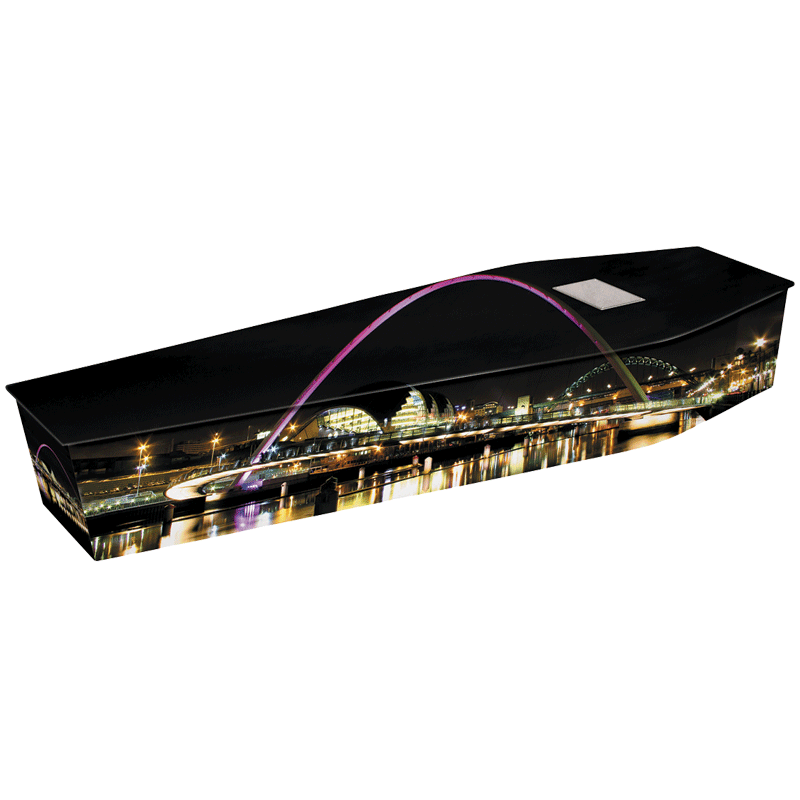 City Lights, Wooden Picture Coffin. Priced At £800.00. BELOW: Looking after our woodlands is essential, This is our future. BELOW: The Exeter: A Golden Maple veneer style coffin with routered Jacobean panels and raised lid, polished to a high gloss finish. Priced at £515.00. 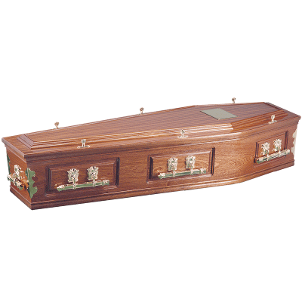 BELOW: The Buckingham Casket: Solid Paulownia style casket with decorative panels to the sides and ends, fluted corner pillars and split swing statesman raised lid. Polished in a medium Mahogany high gloss finish. Priced at £1,251.20. 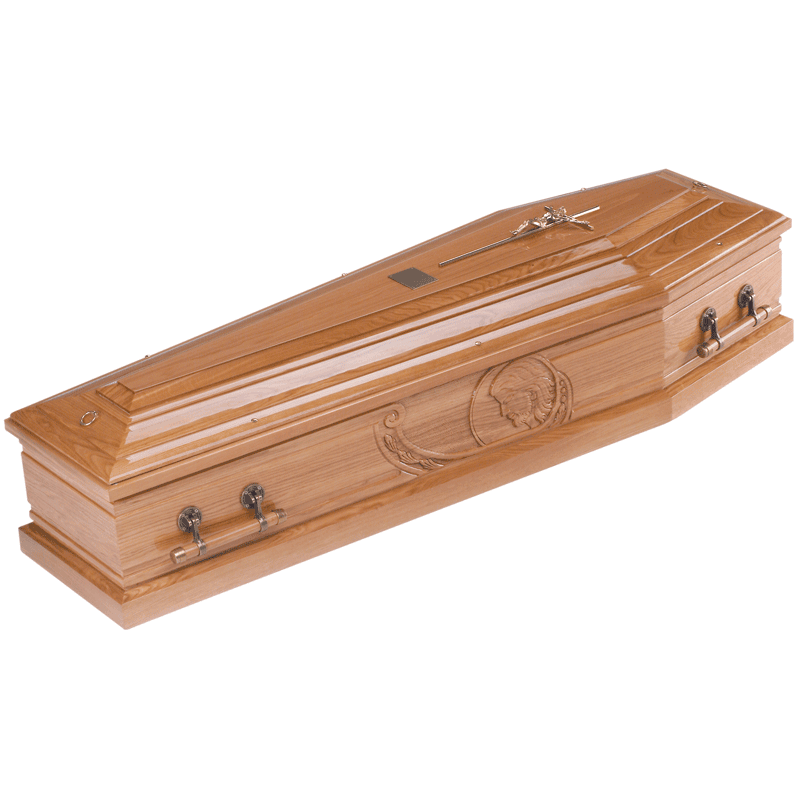 BELOW: Head Of Christ: ITALIAN coffin made of SOLID OAK, with a carved Head of Christ to the sides. Priced at £1'400.00. 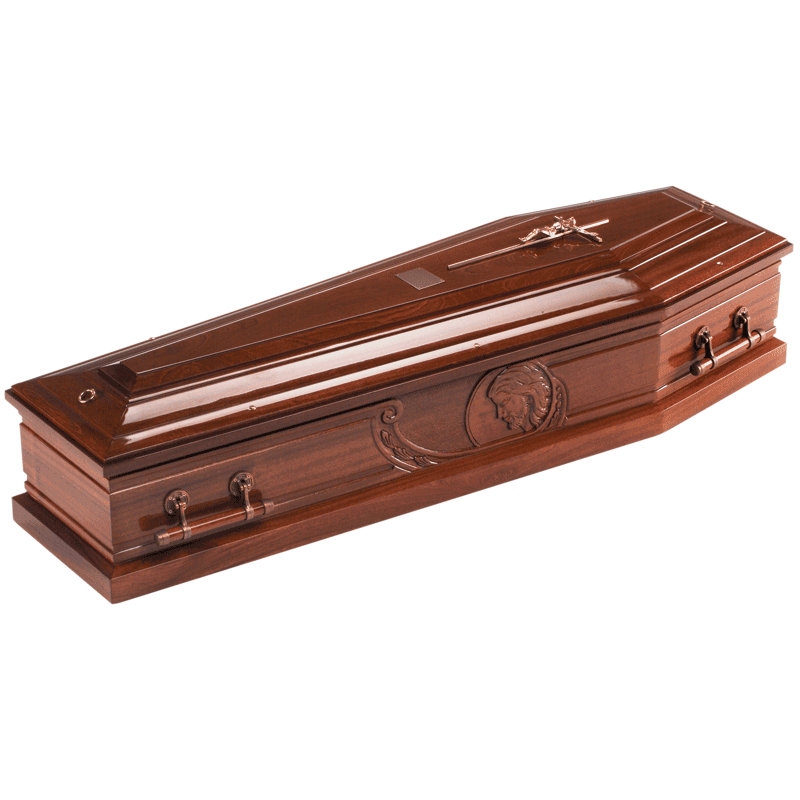 BELOW: Head Of Christ: ITALIAN SOLID MAHOGANY coffin, with a carved Head Of Christ to the sides. Priced at £1'350.00. 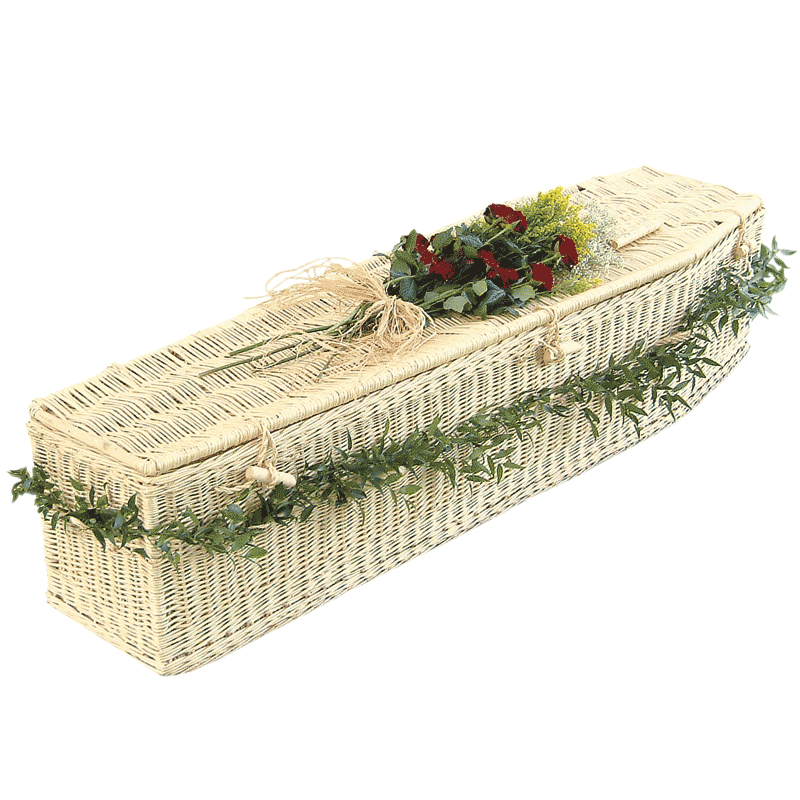 The Natural Legacy woolen coffin is made in Yorkshire using pure new British wool, supported on a strong recycled cardboard frame. Wool is a fibre with a true "green" lineage that is both sustainable and biodegradable. The interior is generously lined with organic cotton and attractively edged with jute and has a waterproof base which is also biodegradable. Brown Priced At £800.00. White Priced At £700.00. 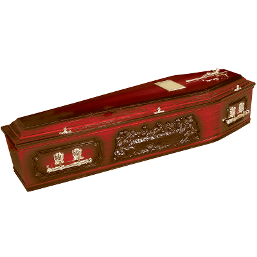 There are all sorts of coffins for all tastes, desires and to fit all fiinancial pockets, these above are just a small selection. 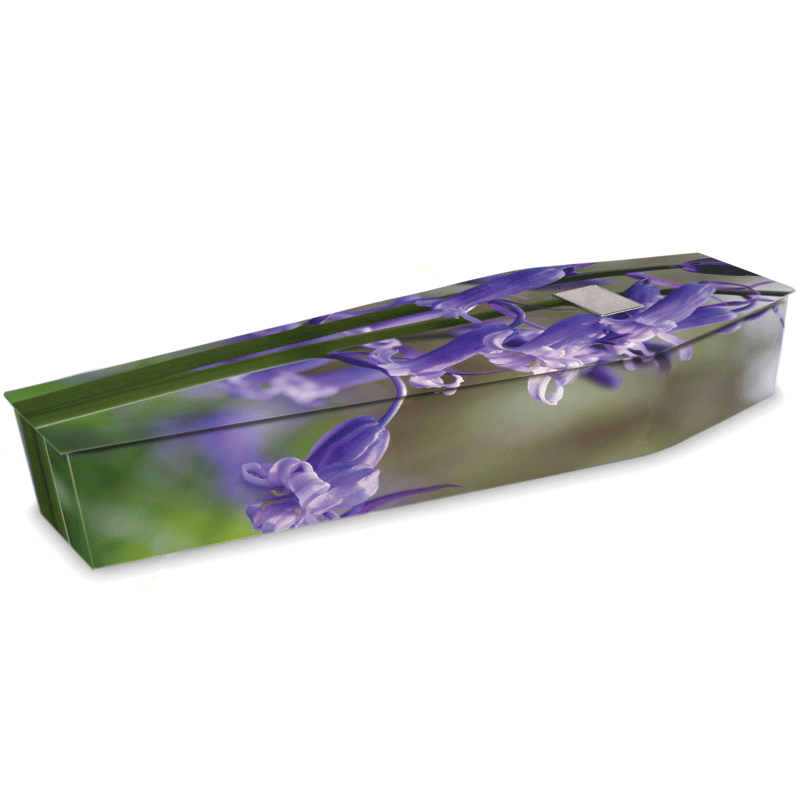 All our coffins are Environmentally Friendly coffins, Cotton, Wool, Seagrass, Bamboo, Chestnut Willow, Natural Willow, and all our Wood Effect, Veneered, Paulownia, Semi Solid, and Solid Coffins are supplied by an F S.C ( Forest Stewardship Council ) certified wood, proven to be from sustainable sources. When our trees are cut down, they are replaced with new saplings.